There’s a current tie for first place, with Norway and Switzerland both at 3 medals of each Gold, Silver, and Bronze. The big question is, will the Norwegians make their mark like they did at the 2018 Winter Olympics? France, Italy, and Slovenia are all tied in third place, with USA, Austria, and Slovakia rounding up the 8 top nations of the Ski Championships. Let’s take a deeper look into some of the countries’ most successful athletes in this year’s Ski World Championships. Norwegian teammates Kjetil Jansrud and Aksel Lund Svindal made Norway proud at the Downhill race that took place on Saturday 9th February. Jansrud won gold with a time of 1:19.98, while Svindal finished with silver, two-hundredths of a second behind. 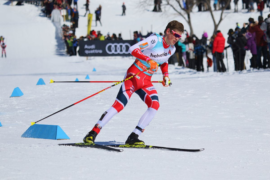 It was the final event of his international career, and Christian Mitter, head coach of the Norwegian men’s ski team, told CNN Sport that the race was a “perfect end to a great career,” saying that Svindal had passed the downhill mantle to his teammate. Norway’s Bronze medal was won by Ragnhild Mowinckel in the Women’s Alpine combined race on 8th February. The competition is on between Norway and Switzerland, who are both on the top of leaderboard at the moment. The country’s lead is all thanks to three amazing female skiers. The gold was secured by Wendy Holdener, in the Alpine Combined race. While both Silver and Bronze medals were won by Corinne Suter in the Downhill race on 10th February and the Super-G on the 5th. France is currently tallied at 2 medals, one Gold which was won by Alexis Pinturault, who had an epic run in the Men’s alpine combined, finishing with a time of 1:08.79. French skier John Clarey won a tied silver in the Men’s super-G – with Austria’s Vincent Kriechmayr. No surprises here – American skier Mikaela Shiffrin secured the country’s first Gold of the championships, winning the exciting Super-G race. Legendary Lindsey Vonn won the Bronze in the Downhill race, with a time of 1:02.23. Mikaela Shiffrin is definitely the one to keep an eye out for in the next week, with the slalom races on the 14th and 16th of February. Austria is sitting in 7th place, with 1 silver and 2 bronze medals up their sleeve. Both silver and Bronze was won by Vincent Kriechmayr in the Super-G and Downhill races, and Bronze was awarded to Marco Schwarz in the Alpine Combined race on the 11th of February. We’re only a few days away from the end of the World Championships, so stay tuned for more updates as we see the rest of the season play out! 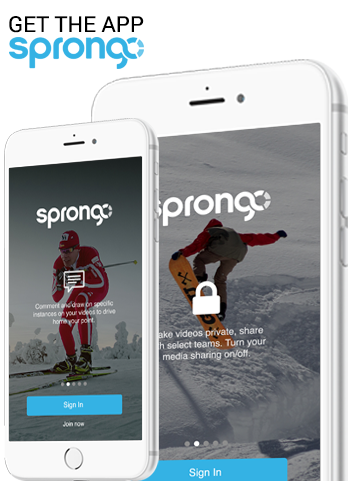 For all your video analysis needs to improve technique and performance, check out the Sprongo platform.